This simple design has open space that invites everyone to enjoy four different views. With a master bedroom points to north while the dinning area offers views to the south. The living area is cleverly orientated to west while the kitchen is placed at the opposite side, looking east. 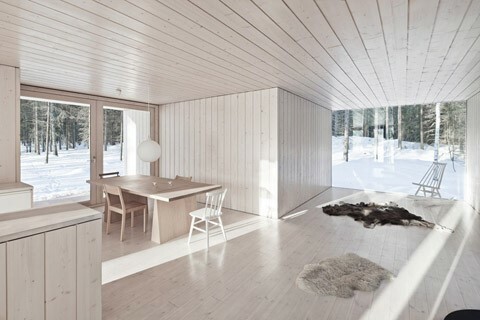 Both interior and exterior are extremely minimal. 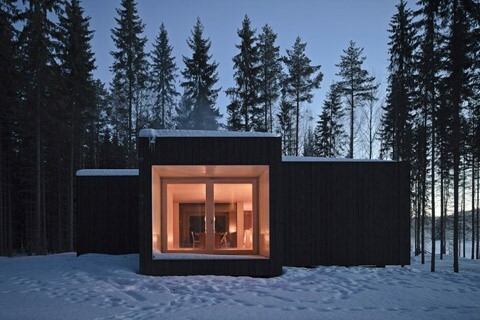 With an open outdoors contrast design in order to balance nature and man. 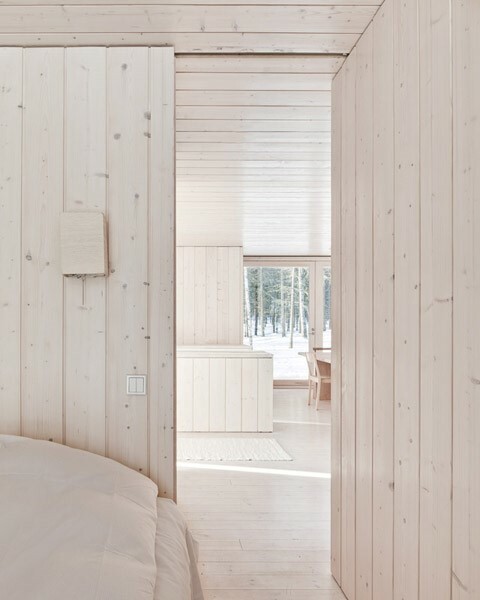 The exterior facade is treated with tongue and groove cedar stained black, while interior surfaces are smooth knotted pine and bright white paint on the ceilings. 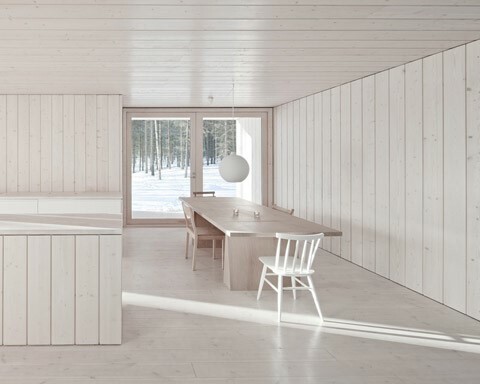 This Pod disappears totally when seen from a lake, while the white reinforces the warmer atmosphere inside each space.